The gap that used to exist between future thoughts, their implementation and arrival dates have all shortened in time-span because of innovative technologies. Retailing as an industry is set to be turned on its head by Amazon developing a global retail model that can be adapted to any form of retailing or service fullfilment and deliver in the shortest possible time. Supermarket queues, the major cause of customer complaint, are completely eliminated by the Amazon model, thus serving a major consumer need. If community pharmacy continues to be reactive to change rather than get out and deal with it, I do believe that the pharmacy profession could implode. Unless, that is, true leaders can emerge - and that is problematical! Just before Christmas 2016 i2P alerted pharmacists to a global retailer (Amazon) making plans to enter the Australian market with a massive retail offering (see http://i2p.com.au/how-amazon-will-dominate-global-retail/ ) and ambitions to dominate the entire retail sector. 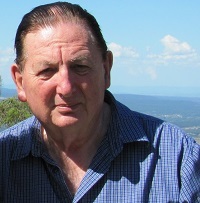 While it often seems that some of these futuristic visions of our marketplace may be very distant “over-the-horizon” ideas that may not necessarily appear in our lifetime, advances in technology and artificial intelligence systems are shortening lead times dramatically to “just around the corner” or a working model “now”. The latter is the case for Amazon, currently fleshing out a working model for a supermarket ranging from a floor area of 10,000 square feet to 40,000 square feet in ground floor area. 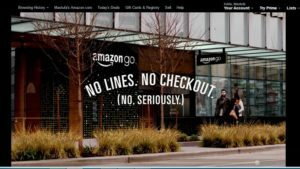 The working model is a smaller version 1800 square food convenience test store located in Seattle, and is titled Amazon Go. Currently it is only open to Amazon employees, but the general public will be invited in within a 12-month time-frame. High-tech sensors and artificial intelligence are allowing shoppers at this Seattle food market to swipe an app when they enter, then roam the aisles and grab staples like bread and milk, cheeses and chocolates and ready-made meals. Customers can watch as the items they pluck off the shelves get added to a virtual cart on the app — and subtracted if they put them back — with receipts emailed to them once they leave. Amazon will also test out “large, multi-function stores with curbside pickup capability” and “drive-through prototype locations,” according to recent press releases. The company wants to open more than 2,000 brick-and-mortar grocery stores, compared with about 2,800 operated by The Kroger Co., now the largest full-service US grocery retailer. Amazon’s plans mark its latest push into the $800 billion-a-year grocery business, following its AmazonFresh delivery service that began expanding across the country in 2013 and arrived in Brooklyn in late 2014. It also threatens countless jobs at existing grocery supermarkets, which are the leading employers of cashiers and had 856,850 on their payrolls in May 2015, according to the latest figures from the federal Bureau of Labour Statistics. Amazon’s cutting-edge technology has the potential to wipe out 75 percent of typical grocery-store staff (checkout cashiers, product baggers). And given that the retail industry is one of the largest employers, the impact on local and national economies could prove catastrophic. Amazon projects that its small stores format will only require a maximum of three persons, larger stores will require a maximum of 10 persons to ensure the smooth running of each supermarket. For the small format store, a manager’s duties would include signing up customers for the “Amazon Fresh” grocery service. Another worker would restock shelves, and still another would be stationed at “drive-thru” windows for customers picking up their groceries, fast-food style. “I’ll have coke and fries with that!” will take on a new significance when community pharmacy is forced to confront this disruptive technology as it begins to roll out. The larger format stores will be two-story buildings where most of of the workforce is comprised of robots. A small army of them will toil away on the second floor, where they furiously bag items for the customers browsing below. 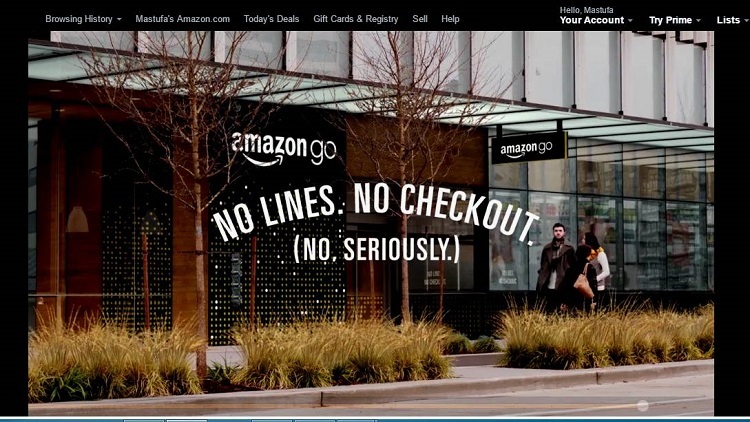 Amazon supermarket, the title for this large format of the new Amazon “Go” convenience store, uses no cashiers or checkouts. Amazon CEO Jeff Bezos wants his automated grocery store to feature a ground level where shoppers can touch and physically select items — typical food products that people like to touch, beer, fruit, etc. This floor may also feature a pharmacy, which would be a new but financially promising sector for the company, and human “greeters” who double as shoplifter deterrents. The financial metric advantage is clear: with a meagre payroll and an optimised real-estate, the Amazon Supermarket model stands to generate an operating profit margin of 20 percent. According to the US Food Marketing Institute, the industry average is 1.7 percent. If those numbers hold, it will not only put pressure on jobs, but will also create survival pressures for every other supermarket, particularly the major brands already trying to adapt to the Aldi lows margin model. And the pressure will also transfer across to existing models of community pharmacy – no matter the size or franchise brand. The message for Australian community pharmacies is clear in that due to PBS policy changes, dispensing has become a “loss leader” and refuge in retailing has become a feature of the more agile of community pharmacist in order to stay financially alive. Reports of community pharmacy collapses ominously continue to be reported on, and it appears that being part of a brand franchise is no protection – even without the pressure of an Amazon outlet. Australia is already in Amazon countdown mode with its limited online presence already established, but will be expanded from books to fresh foods and groceries to support Amazon Go convenience stores within 12 months. September 2017 is the promoted date for launching. We are possibly 24 months away from the robotic Amazon Supermarket which may also include a pharmacy. The latter will depend on how successful pharmacy leaders are able to contain pharmacy ownership restricted to pharmacists. But it would not restrict a pharmacist from setting up within an Amazon Supermarket that might look something like the Woolworths’ Countdown model developed in New Zealand. Added to all of the above is Amazon’s pioneering the use of drones to deliver packages instead of humans, and even the filing of patents for unmanned blimps that would serve as flying warehouses. So disruption to established delivery services and wholesaler services will also occur. Just imagine a short-line wholesaler that could deliver prescription drugs almost immediately. That might eliminate the need to carry any type of inventory whatsoever. * the need for multi-story buildings to provide a home for inventory and a range of clinical services. * the concept of a drone delivery service as a component of a pharmacy-in-the-home service. * the need to locate in cheaper environments preferably as part of a health precinct. Health services generate an enormous numbers of foot traffic and when pharmacy can combine with other health services, it does not need the general traffic “pull” of a high-priced rental in a regional shopping complex. * the need to recognise that to compete with Amazon, pharmacists will have to band together, possibly as an unlisted public company or co-operative to conserve capital infrastructure investment and reduce individual risk. * a model of pharmacy that recognises that it requires “customers” generated by retail to create a pool of consumers that can be converted to “patients”. * that patient numbers ought to be the main KPI for all community pharmacists so that a suitable model may emerge where large pharmacy operators can provide and host appropriate retail environment for an independent “small pharmacist” clinical model, that includes a revised dispensing format. Both models having the ability to have separate and independent visions. * the concept of this dual model approach to community pharmacy reflects the form that pharmacy has always existed in under the one roof and single management. But with tensions arising between the needs of customers vs patients always reaching a point of conflict that creates vulnerability (for pharmacy critics to exploit) or indecision by pharmacy managers who tend to default in favour of customer need over patient need. Separation of vision and management for a composite model still allows for both models to cross-fertilise shareholding investment, with majority voting power properly residing with each vision format. It is long past the time where pharmacy leadership organisations should be supporting vision models that have adaptability and take to account the differing perspectives and harmonise those who show retail expertise and fuse them with clinical perspectives. Leader organisation support in fostering creativity and innovation among members and between the various organisations ought to be the norm – rather than to set out to control and manipulate. For example, the PGA has been meeting with the Small Pharmacy Group in recent times and there seems to be a disagreement as to membership fees. Why not redefine membership to embrace retail pharmacies (generally the larger community pharmacy) compared to a clinical pharmacy (generally the smaller version). Rather than legislating for each model of pharmacy, a good definition by the representative body can also create a vision for both versions that can give rise to an acceptance of creativity and active innovation. In more direct language, define the roles of both types of pharmacy, set a membership fee for each version but develop a discount where both versions work under the same roof. Then encourage cross-fertilisation of investment whilst maintaining the dream of both models. Would this not reduce friction between pharmacists and create a leadership role that has a wider acceptance due to popularity, rather than the differentiation into hostile groups that don’t talk or cooperate with each other? Whether we like it or not, Amazon is coming and it will provide a stimulus to “get up” or “get out”. If the concepts are agreed in advance, the new paradigm fora pharmacy model will emerge seamlessly with all pharmacists in support. But this requires good leadership that is willing to leave greed and control behind to focus on what can truly unify, and reflect that unity with a matching fee and service structure. Individual pharmacists can move out in advance, initially by designing appropriate bricks and mortar structures nd supported with online cloud facilities. Think unlisted public companies, co-operatives, large multi-story buildings that can house robotic retail facilities as well as a range of clinical services, including a range of allied and public health partnerships. Entrepreneurs can think of investment into building health precincts that attract patients and reduce shoe leather wear of patients having to visit diversely located services to maintain their health. Futurists may also consider investing in logistics-the immediacy of delivery and delivering the “last mile” to a patient. The short-line wholesaler with an Amazon blimp plugged in to an Uber delivery service might just be a consideration for a pharmacy future. Leadership sponsored “think tanks” might be an appropriate method to get started in sharing (not stealing) ideas. Time really is running out. I can see solutions to nearly every future problem – but the leadership structure has not adapted to tap the innovation contained within members, or more specifically, those non-members that do not feel catered for. So think regional face-to-face neutral meeting spaces that minimise travel and time, coupled with leader executives that are genuinely committed to a unified profession. Simultaneously restructure your own organisations specifically with a joining fee that matches the service provided to each separate segment of interests. Then keep growing, so we can all contribute to and stimulate that growth.